NEXT MONTH’S Galway Film Fleadh will host the premieres of five new Irish films - Patrick’s Day, The Canal, Gold, A Nightingale Falling, and An Bronntanas. Patrick’s Day, directed by Terry McMahon (Charlie Casanova ), follows Patrick (Moe Dunford ), a warm-hearted, 26-year-old virgin schizophrenic who falls in love with Karen, much to the displeasure of his controlling mother Maura. The film suggests that when it comes to love, we can all go a little crazy. In The Canal, David and Alice, and their small child Billy, move into a picturesque period house by the canal. However David suspects his wife is having an affair, and starts to have nightmarish visions of an evil presence he believes lives in his home. Gold, starring James Nesbitt, is a ‘feel good’ offbeat comedy written and directed by IFTA-winning Niall Heery (Small Engine Repair ). Ray (David Wilmot ) tries to track down his estranged ex-partner (Kerry Condon ) and teenage daughter (Game of Thrones’ Maisie Williams ), so his dying father can get to see his grand-daughter one last time. A Nightingale Falling, based on the PJ Curtis novel, is a historical drama set against the War of Independence in Ireland, and stars Tara Breathnach, Muireann Bird, and Gerard McCarthy. It was filmed in Offaly and the soundtrack was recorded by The Ulster Orchestra. The fleadh’s closing film is An Bronntanas, directed by Tom Collins (Kings ) and is the first ‘Celtic noir’ thriller of its kind as Gaeilge. It stars Dara Devaney, John Finn (Cold Case, Catch Me If You Can ), Owen McDonnell, Michelle Beamish, and Charlotte Bradley. it was shot in Connemara. 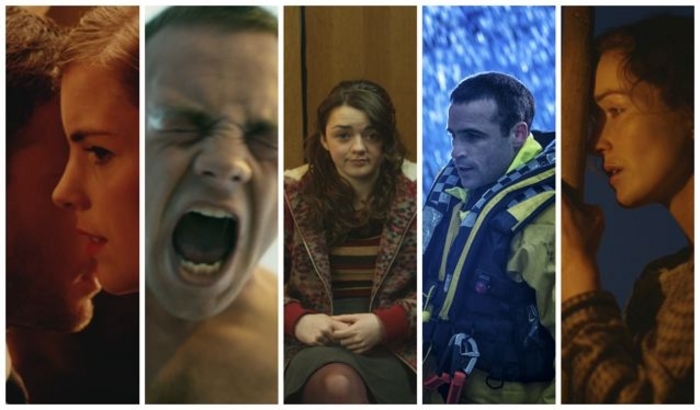 The fleadh has also announced the nominees for the 2014 Bingham Ray New Talent Award: producer, Anne Marie Naughton for The Canal; director, Niall Heery for Gold; and actors Moe Dunford (Patrick’s Day ); Tara Breathnach (A Nightingale Falling ); Dara Devaney (An Bronntanas ). Page generated in 0.0992 seconds.